One of my favorite things to do is set a table in our dining room. I love trying different things and using non-conventional items in my table settings. We have a lot of dinners planned for the holidays and as I am planning my holiday decorations for Christmas, I am having a lot of fun creating my table decorations. 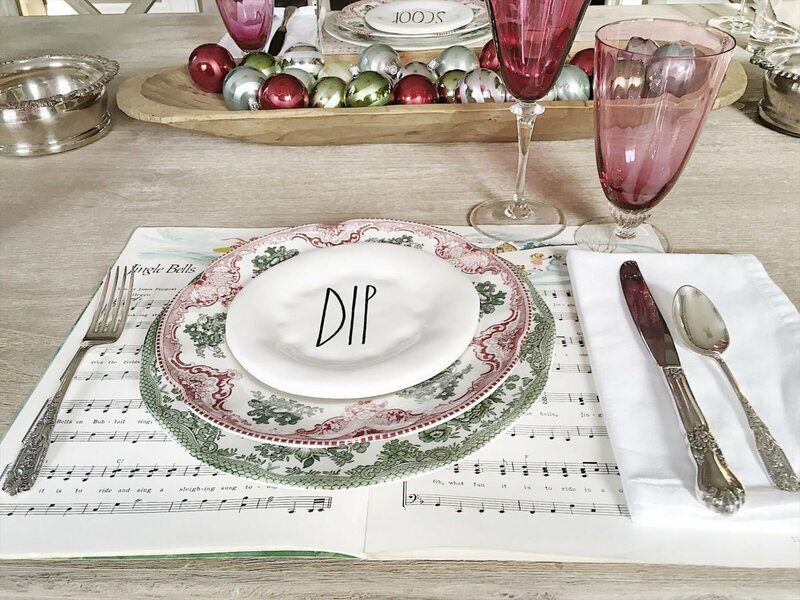 I was looking for something unexpected to use as placemats and thought Christmas sheet music might be a lot of fun! 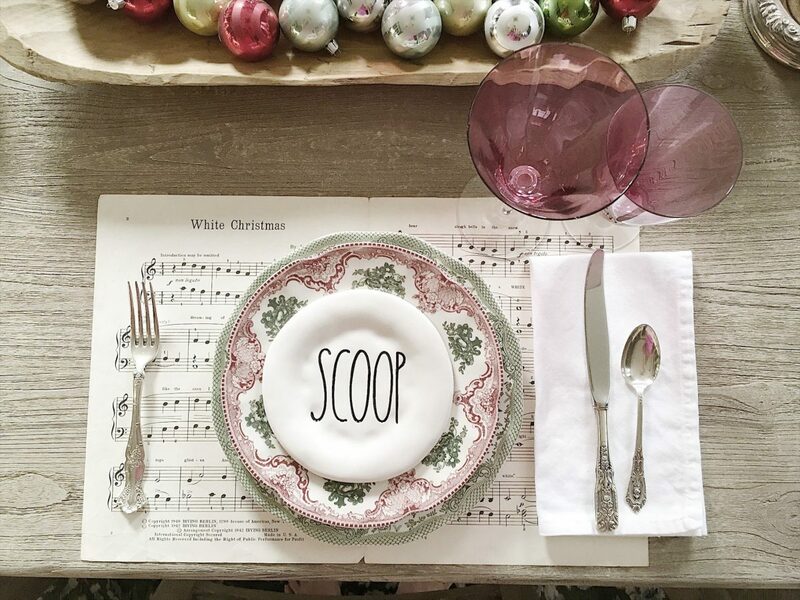 Why not set a holiday table with music? I had a few selections of holiday sheet music in our piano bench but I knew I needed more. So I went on eBay and found a collection of 15 different sheets of vintage Christmas music. Total cost was only $11.00. Of course, I had to find a set that included the music from my favorite holiday movie, White Christmas. 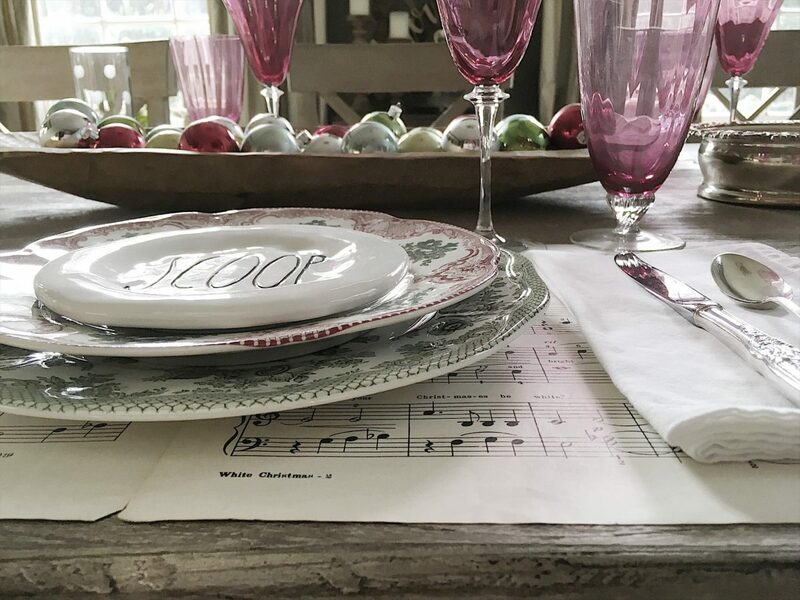 The size of the music sheets were perfect as placemats. And it just seems so festive. 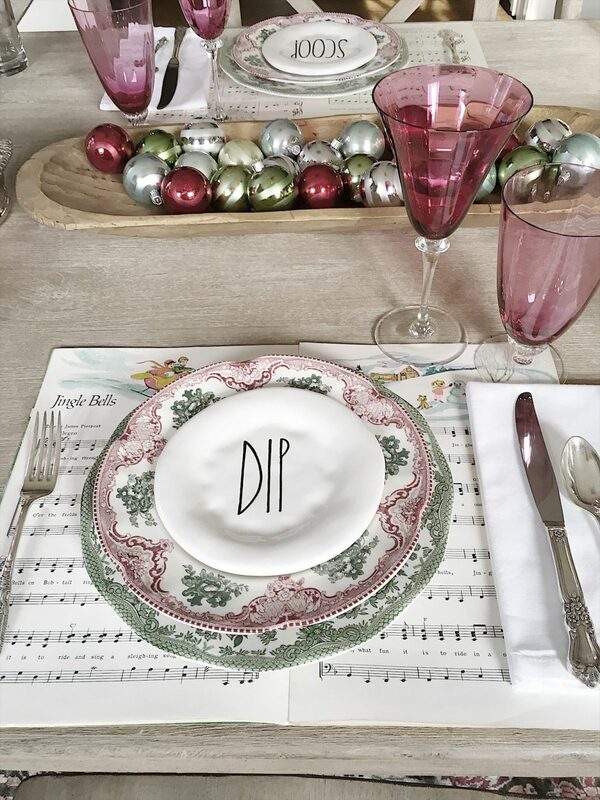 I just love that everyone at the table has a different song at their place setting. I think it would be fun to hunt the flea markets for different arrangements of Happy Birthday or favorite songs of our family members. Who knows, maybe the dinner will end with a few carols? I just love creating tables that are unexpected. Love your ideas. Please keep them coming. 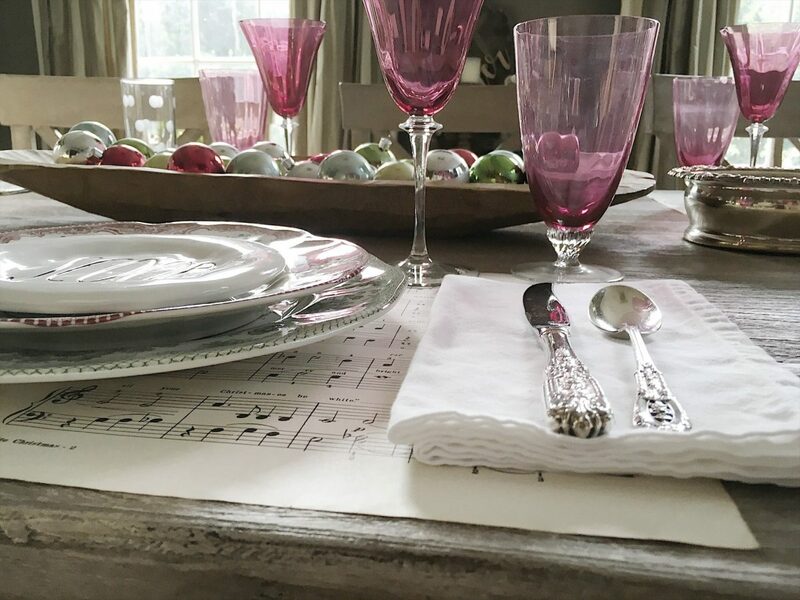 I love to set tables for every season and holiday. Need some new ideas. I’m so glad this is helping, Karen! I was worried it’s a bit too early but I want to have some fun ideas in the archives for later! I did this for my husband’s last birthday & he loved it! He plays bass guitar for a work band (community service) and our church. Great idea with Christmas music over the Holidays! I made Christmas Caroling books one year for a staff party, it turned out perfect. We held the party at an old boutique hotel in the old section of town, which was lovely and they had a baby grand piano. One of the gentlemen in our group played the piano and we all stood around and sang Christmas Carols. Fabulous night! Thank you for the helpful hint! I’m thankful I saved the books I made; we’ll use them for our dinner this year. Just a thought – you can download sheet music and print it whenever you want. It is inexpensive and readily available at a moment’s notice. Because I am an archivist, I do not like to see originals used in this way. Oh my goodness, I love this! I love everything you do! AND I especially love those rose colored glasses? Are they available anywhere? Merry Christmas!! How very delightful…a wonderful idea…thanks for the inspiration. Love this idea!! Why didn’t I think of that!! Ha…thank you and Merry Christmas to you and your beautiful family.